The Reeves family is among the roughly 940,000 Wisconsin households that rely on private wells for their water. 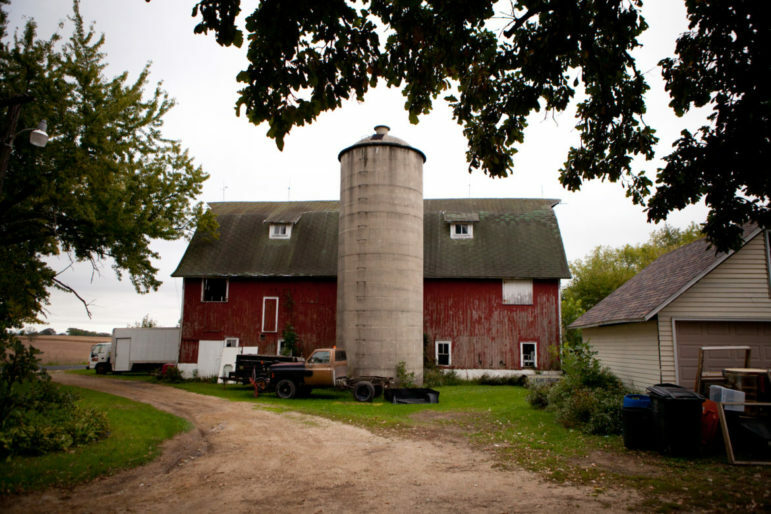 Dawn and Doug Reeves bought their property near Stoughton, Wis. because of its picturesque rural setting, but they now plan to sell their home because of their experience with tainted drinking water. 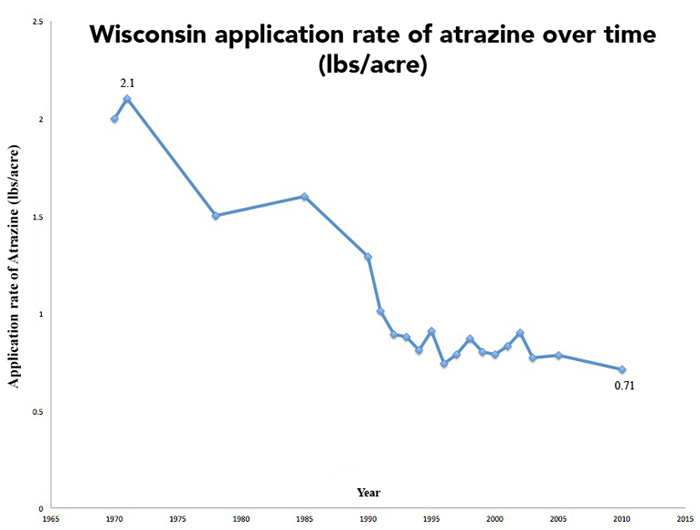 Pesticide maker Syngenta advertises atrazine as safe to people and the environment. But the U.S. Environmental Protection Agency is proposing additional restrictions, finding atrazine is dangerous to plants and animals. 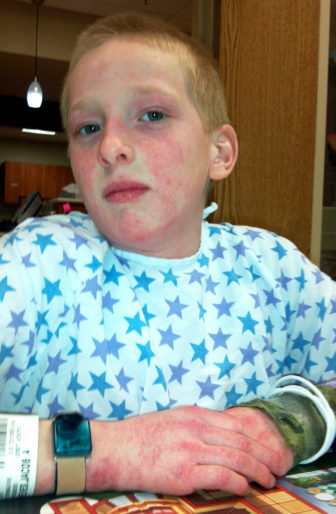 Jacob Reeves is shown in the hospital while being treated for the extremely rare disease juvenile dermatomyositis in 2014. During his treatment he received heavy doses of steroids, as well as an immunoglobulin treatment called “IgG” which combines antibodies (immunoglobulin G) from 1000 different donors. 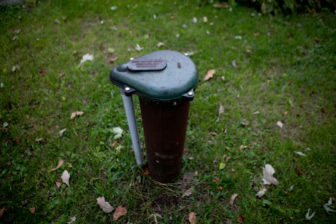 The well in the yard of Doug and Dawn Reeves in rural Stoughton, Wis. In 2014, Doug and Dawn Reeves discovered the well supplying water to their home was contaminated with atrazine, despite the fact that they live in an area where its use has been banned for 20 years. 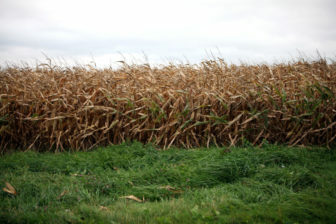 A cornfield is seen in Dane County, Wis., where atrazine is prohibited. 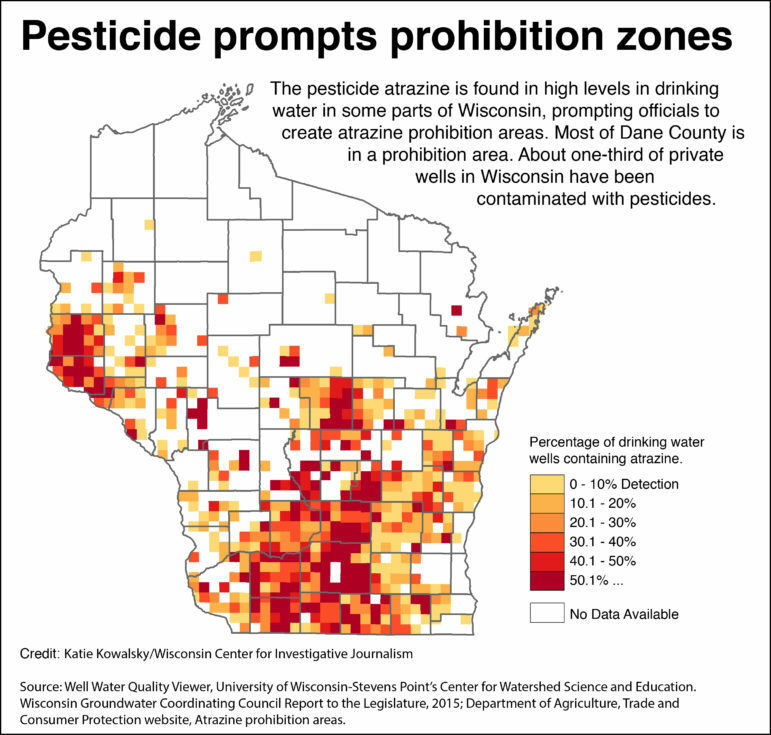 Since 1991, the state has created atrazine prohibition zones in areas where drinking water has been contaminated with the agricultural chemical. 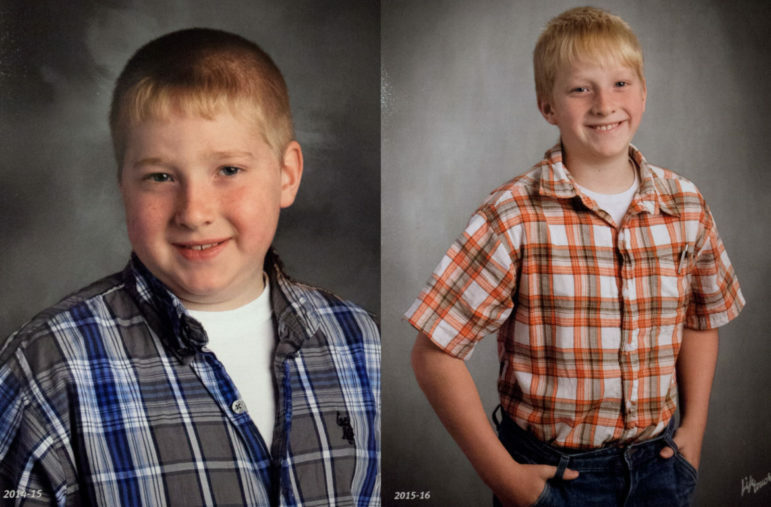 Jacob Reeves’ 2014-15 school picture, left, shows the effects of the steroids he was required to take at high levels during treatment for his juvenile dermatomyositis. A year later, after going off the drugs, most of the swelling had gone away. 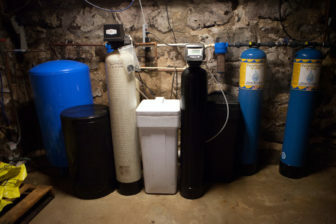 The water filtering system in the basement of Doug and Dawn Reeves’ home near Stoughton, Wis., shows the efforts the couple has made to remove atrazine and other contaminants from their drinking water. That includes two small blue tanks that remove sediments, the black tank that removes nitrate, and two large blue tanks to remove volatile organic compounds, herbicides and pesticides. The large blue filters cost the Reeves family $1,500 a piece. There also is a reverse osmosis filter attached to the kitchen faucet. 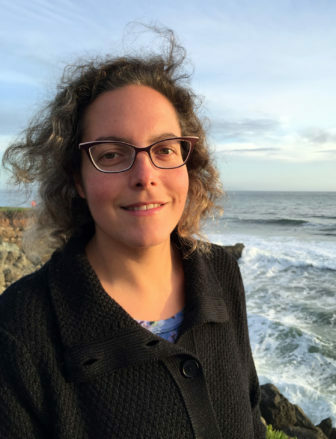 University of California-Santa Cruz researcher Joanna Ory found Wisconsin’s atrazine regulations have reduced drinking water contamination. 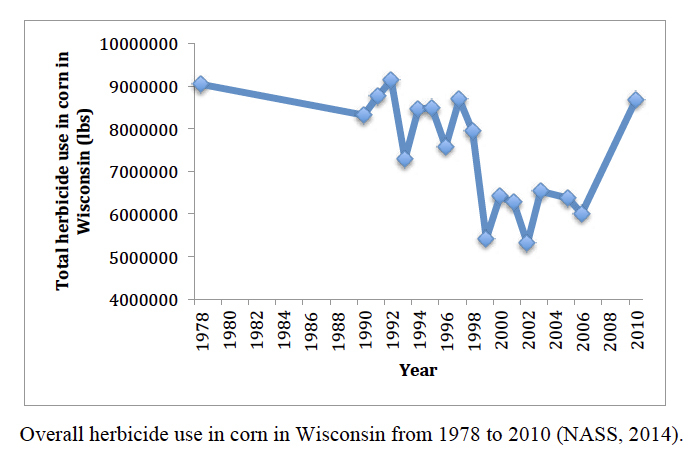 Using data from the National Agricultural Statistics Service, researcher Joanna Ory found that the reduction in atrazine use in Wisconsin has been accompanied by an increase in the use of other herbicides in recent years. 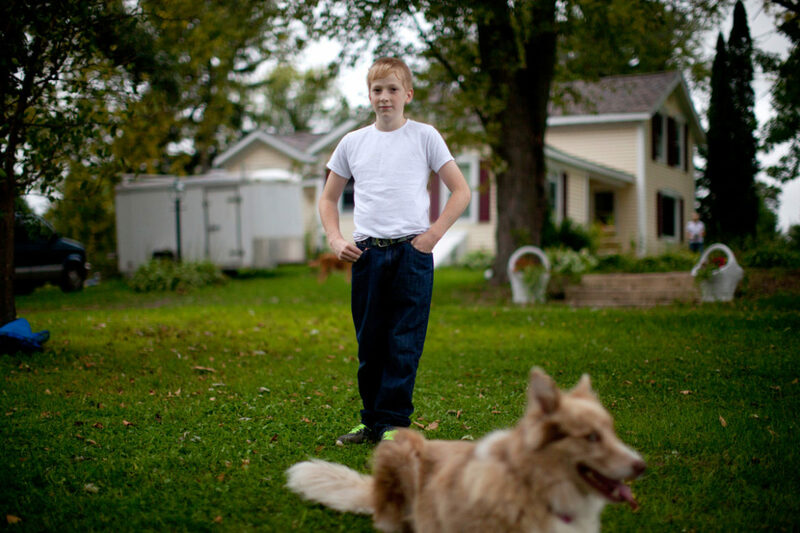 Jacob Reeves plays with his younger brother, Billy, foreground, at their home in rural Stoughton, Wis. 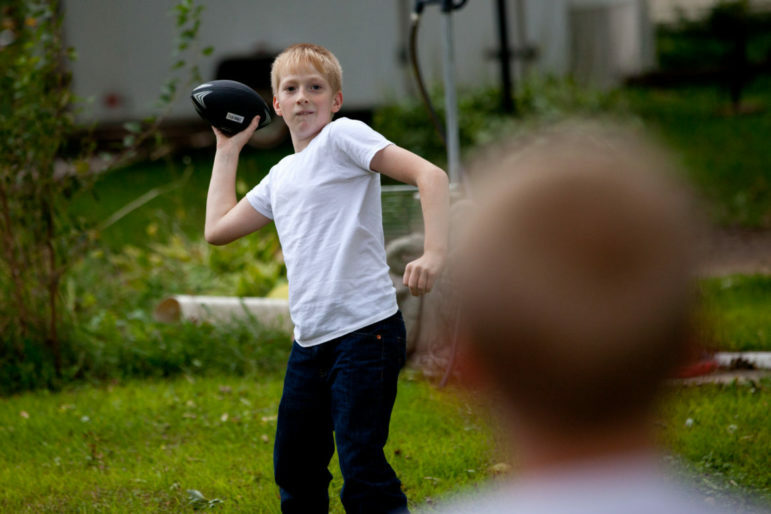 In 2014, Jacob was diagnosed with juvenile dermatomyositis — a rare disease that his mother Dawn attributes to the high level of atrazine found in their well water. Reporter Tierney King contributed to this report. This story was produced as part of The Confluence, a collaborative project involving the Wisconsin Center for Investigative Journalism and University of Wisconsin-Madison School of Journalism and Mass Communication reporting classes. The nonprofit Wisconsin Center for Investigative Journalism (www.WisconsinWatch.org) collaborates with Wisconsin Public Radio, Wisconsin Public Television, other news media and the UW-Madison journalism school. All works created, published, posted or disseminated by the Center do not necessarily reflect the views or opinions of UW-Madison or any of its affiliates.